When Nicholas Nickleby is left penniless after his father’s death, he appeals to his wealthy uncle to help him find work and to protect his mother and sister. But Ralph Nickleby proves both hard-hearted and unscrupulous, and Nicholas finds himself forced to make his own way in the world. 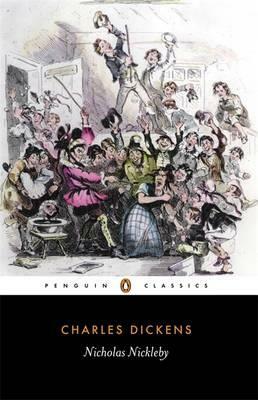 His adventures gave Dickens the opportunity to portray a extraordinary gallery of rogues and eccentrics: Wackford Squeers, the tyrannical headmaster of Dotheboys Hall, a school for unwanted boys; the slow-witted orphan Smike, rescued by Nicholas; and the gloriously theatrical Mr and Mrs Crummle and their daughter, the ‘infant phenomenon’. 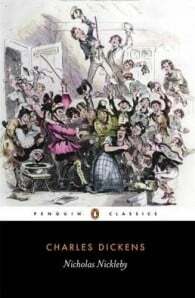 Like many of Dickens’s novels, Nicholas Nickleby is characterized by his outrage at cruelty and social injustice, but it is also a flamboyantly exuberant work, revealing his comic genius at its most unerring.